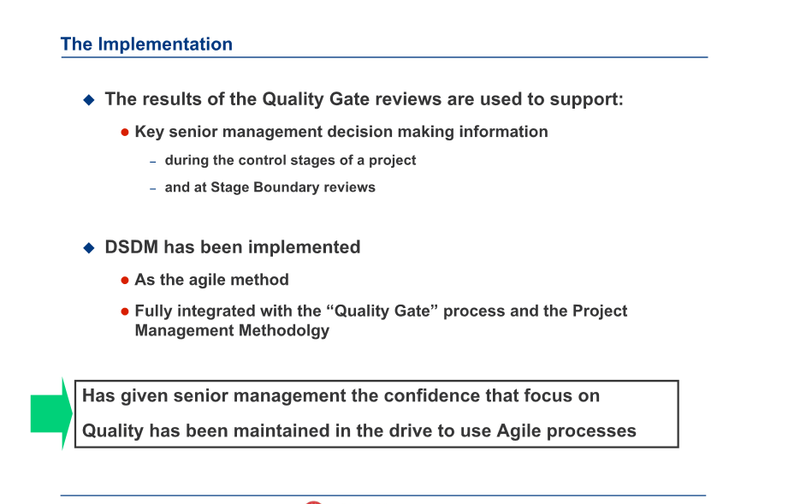 Musings on project management: Stage gates and Agile? 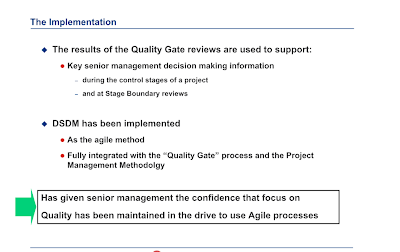 Agile is not a gated methodology, primarily because scope is viewed as emergent, and thus the idea of pre-determined gate criteria is inconsistent with progressive elaboration and emergence. Re budget: agile is effectively 'zero base' at every release, if not at every iteration. You can call the question at these points of demarcation. Agile is a "best value" methodology, meaning: deliver the 'most' and 'best' that the budget will allow, wherein 'most' and 'best' is a value judgment of the customer/user. Of course, every agile project should begin with a business case which morphs into a project charter. Thus, the epic narrative (the vision narrative) is told first in the business case, and retold in more project jargon in the charter. Thence, there are planning sessions to get the general scope and subordinate narratives so that an idea of best value can be formed.